Located in the heart of downtown Louisville. Within blocks of Kentucky Center for the Arts, Louisville Slugger Museum, Slugger Field, Actors Theater, Slugger Field, restaurants, and many other attractions. 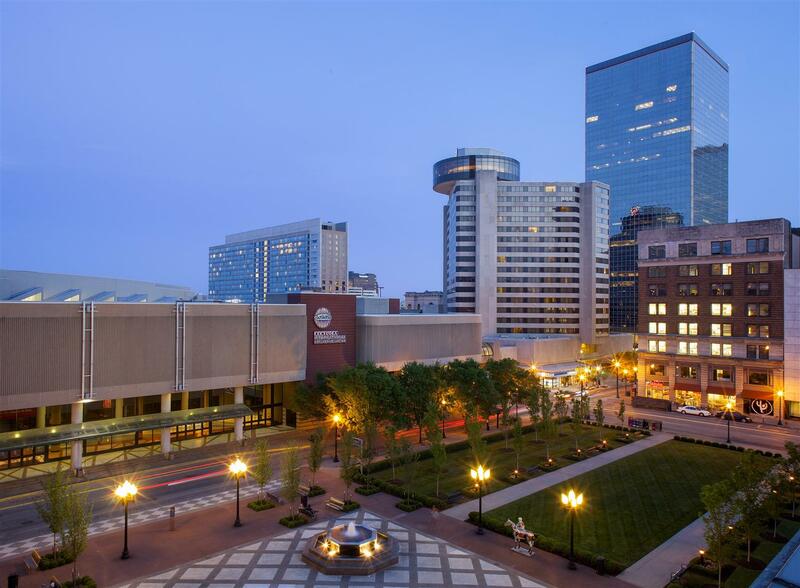 Hotel is connected via enclosed pedway to Fourth Street Live and Kentucky International Convention Center. Hotel is within walking distance to major downtown businesses; Humana, Fifth Third Bank, Meidinger Tower, Starks Building, and more. Short drive to Churchill Downs. Based on the farm to fork concept, Sway brings Southern fare inspired by the rich heritage of the region to Fourth Street. The seasonal menu combines the flavors of Southern kitchens, American favorites and Sunday dinners with the freshest ingredients from local farms, dairies and butchers. Located on the lobby level featuring nano wall window, serving lunch dinner and cocktails. Einstein Brother's Bagel features breakfast and lunch options in a relaxed, quick casual atmosphere. A water tower shaped like a bottle of Old Forester bourbon marks the factory where it's made. A very safe cave -- the locals used it as a refuge when a deadly tornado blew through town in 2004.